For Perfect Image in Newcastle, Amos Beech took care of the fit out and office refurbishment for their headquarters in Newcastle. Perfect Image are a Microsoft business partner and were rapidly outgrowing their existing office. After reviewing their options, they decided to move their office out of their central Newcastle location to a business park with better parking facilities out of town. Of course, there is no better time to refurbish your office than when you change locations. 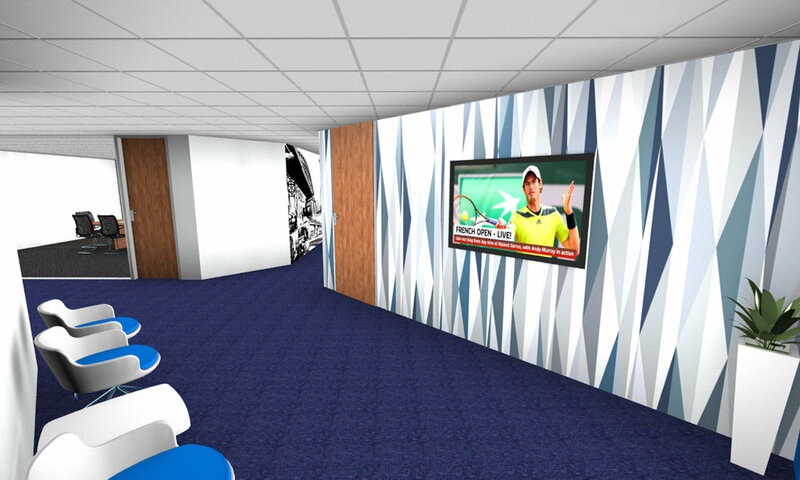 Curious to find out what made this one of the most successful office refurbishment projects in Newcastle? Read on and find out how our team at Amos Beech worked closely with the Perfect Image staff to learn about their needs and wants for their new office space, then implement them. This did require a certain amount of ‘selling’ to the staff and it was appreciated early on that a great interior scheme was needed. So, the search began for a company that would take the time to understand what was needed and deliver the goods. 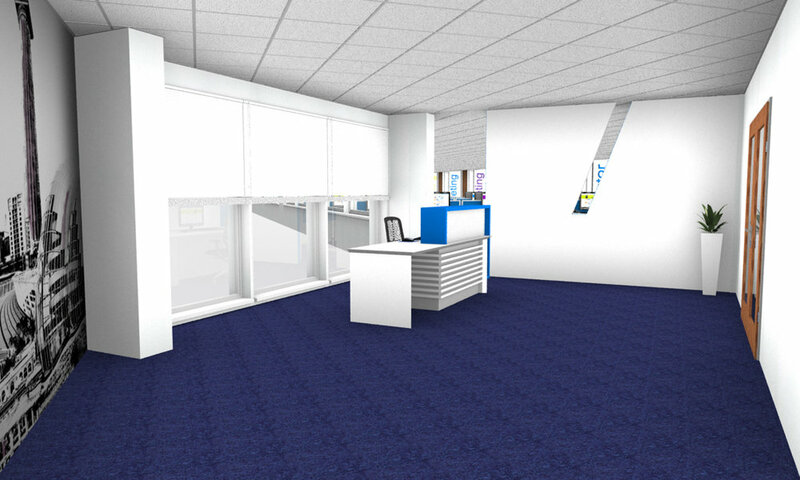 While there are many office refurbishment companies in Newcastle, very few of them take the time to really understand the needs of their customers. Most of them will apply a “blueprint” that varies very little from project to project. 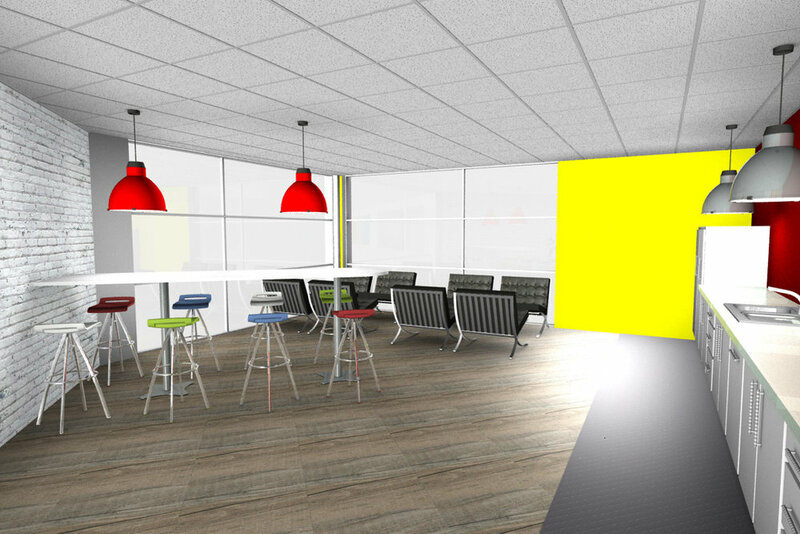 If you’re looking for office refurbishment that is truly in line with your brand values and your staff’s needs, you should never opt for a standard offer. Choose the company that takes the time to understand you and to design something brand-new, just for you. This is what happened in our project with Perfect Image. 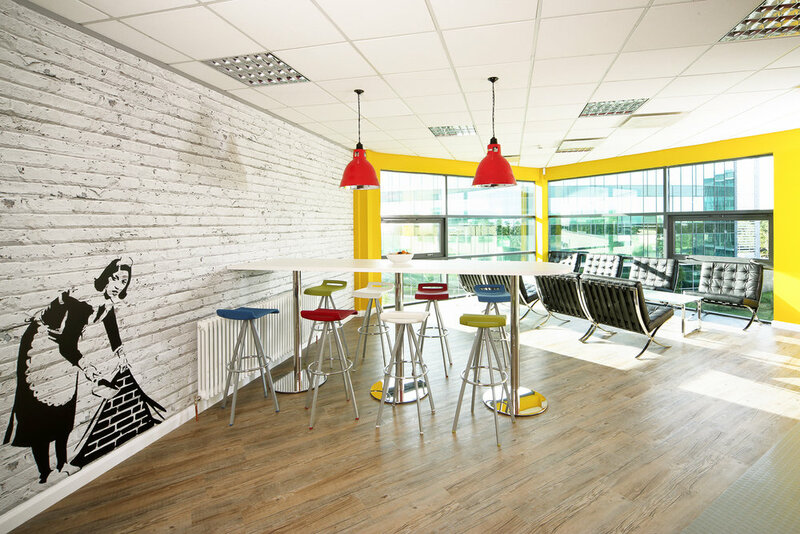 Amos Beech were recommended to them by one of their neighbours in Newcastle for delivering a complete Interior Design, office refurbishment and office furniture project ahead of time and on budget. Fiona and Roy visited their offices and interviewed the project team to gain the understanding needed along with the project scope. Following this a presentation was made and working with the project team this was fine tuned to a point where the office refurbishment could be signed off for construction. Perfect Image’s new Newcastle office encompasses everything that the management team required with a front-of-house area where clients are entertained and a highly functional back office with break-out areas, ad-hoc meeting spaces and a staff canteen. The interior design uses the vibrant colour palette from Perfect Image’s branding and allows for distinctive wayfinding within the office. 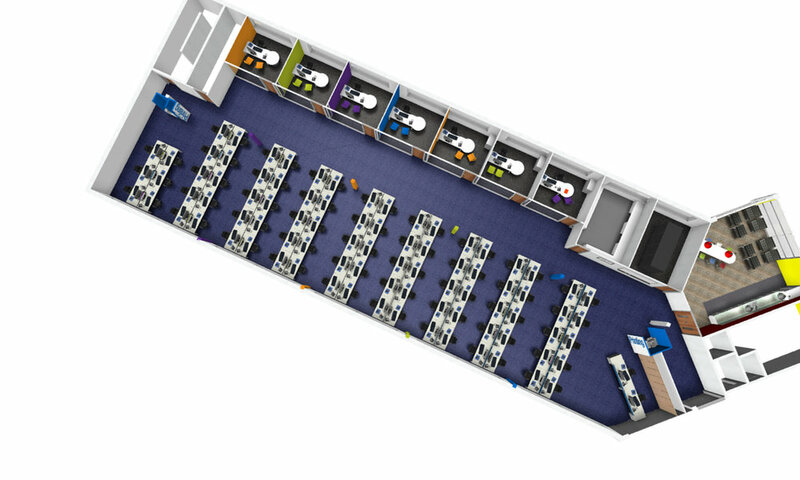 A full scope of furniture was provided to complete the interior including a bespoke reception desk, break-out and meeting room furniture, café furniture, boardroom furniture, desks, task chairs and storage cabinets. The same vibrant colours were used to upholster the acoustic screens that are mounted between the banks of desks. Looking to spruce up your office or moving to a new location? Amos Beech are amongst the top office refurbishment specialists in Newcastle. We’re just a phone call or an email away. Let’s talk and find out how we can make your office shine.